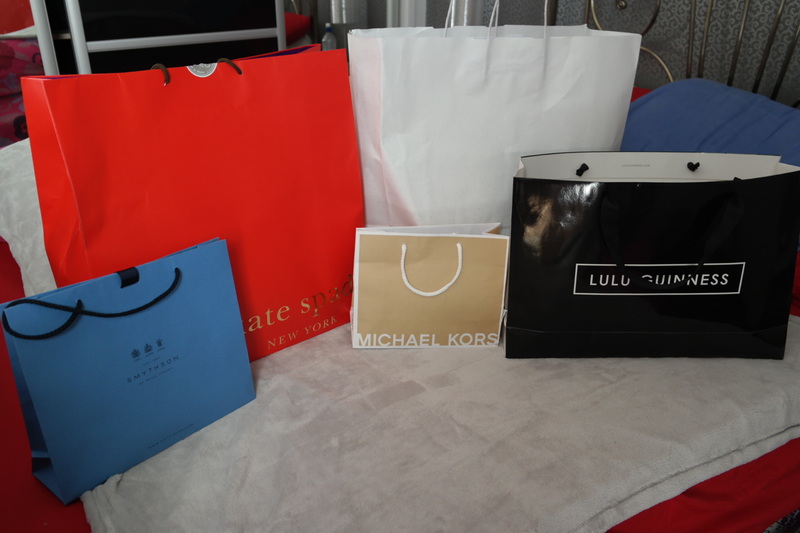 So, on my way back from visiting one of my best friends down in Bournemouth, I decided to stop of at Bicester Village as it is near enough on the way. What was meant to be a browse turned into a massive shopping spree! I first decided to go around once and have a look at what all the shops had to offer so that i didn’t over spend, but like all good plans there was a flaw! There was just so much nice stuff!!! 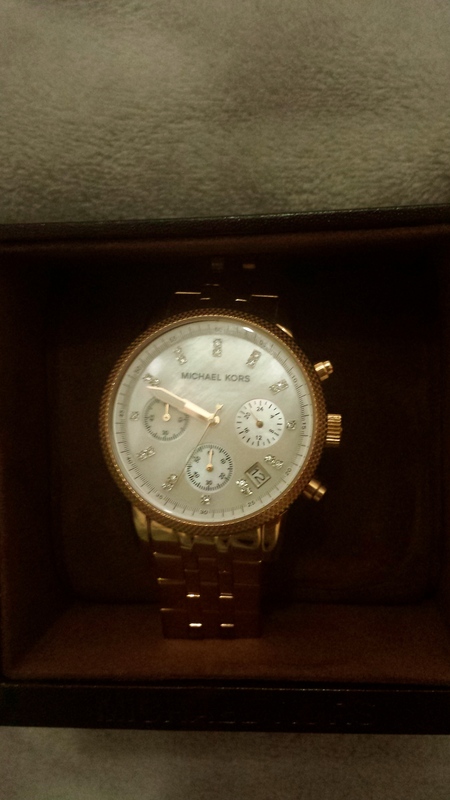 My first purchases were spurred on by the rain!! Just as i was leaving this particular shop empty handed it hammered it down with rain, so I decided to continue browsing and the inevitable happened! 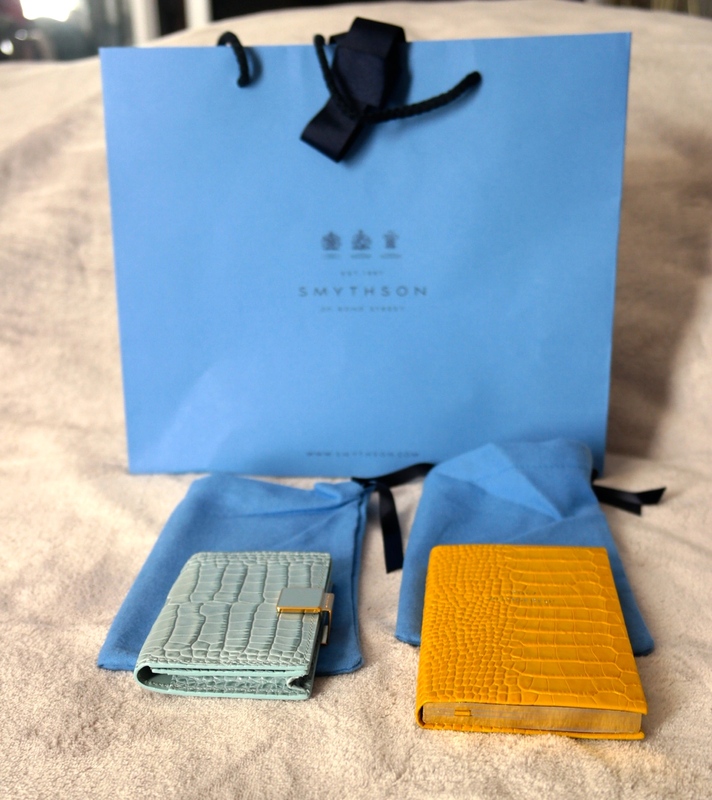 Smythson has always been a brand that i have associated with being classy and sophisticated, so I to purchase a Notepad and a business card type holder thing so I can carry my new blogging business cards around and the notepad is so that i can plan all the things i want to do before I’m 35, 40 etc. 2 pairs of shoes, in exactly the same style, but different colours as I couldn’t decide which ones to buy!!! I think that was pretty much it!! Boy, is the bank manager going to hate me!!! 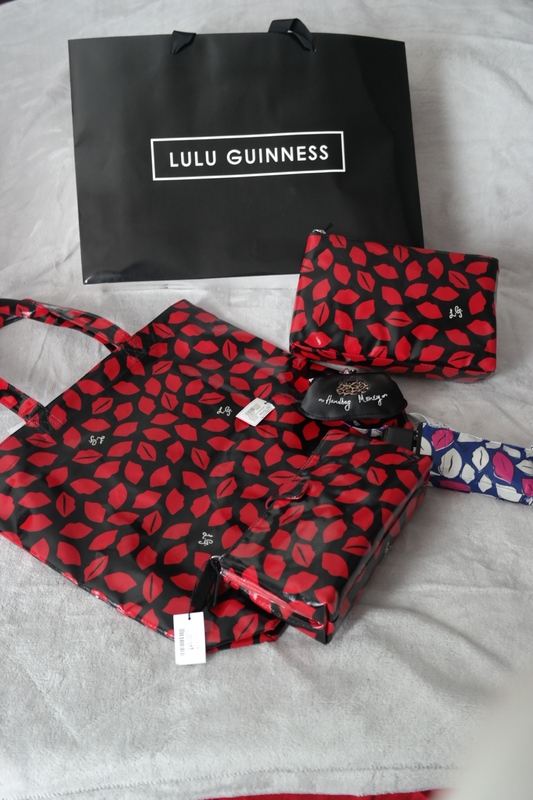 Shopping is the best form of therapy, but it can get out of hand, so I am determined to curb my spending now as I need to start saving for my own place. However, I have just ordered myself a new car, details to follow soon!!! What cheers you up when your feeling down?